Detail of Poena, retaliation personified, from a painting depicting Achilles' slaying of the loud-mouthed soldier Thersites. 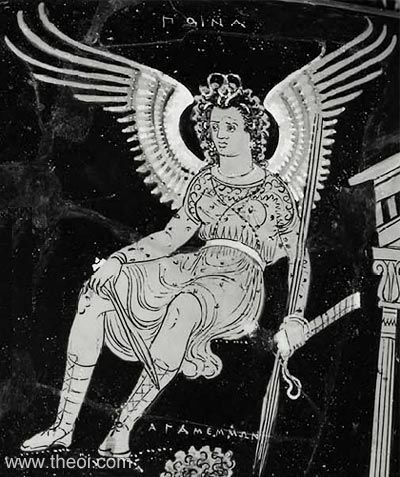 Poena is depicted as a winged huntress wearing a knee-length maiden's dress and boots. Her hair is wreathed in serpents and she holds a sword, scabbard and pair of hunting spears.